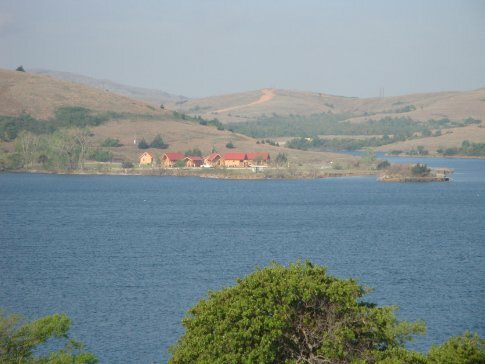 Bordered by Fort Sill on its south shores, the Wichita Mountains Wildlife Refuge on its north shores and sitting in the shadow of Mount Scott, Lake Elmer Thomas offers an array of recreation opportunities. 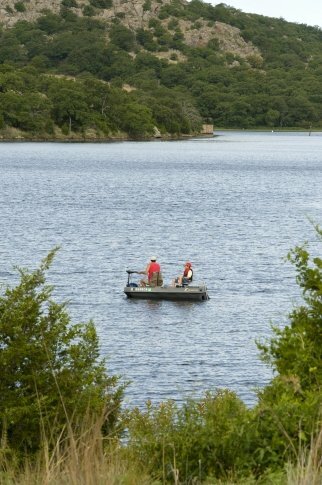 This is a no-wake lake, but fishing boats are allowed, and two boat ramps are provided. The dock on the lake is a great place from which to fish, while a swim beach offers easy access for swimming. Scuba diving is also permitted. Lake Elmer Thomas Recreation Area features many amenities along the southeastern shores of the lake, including a twisting water slide, mini-golf course, marina, RV and tent campsites, cabins and more. View a detailed Lake Elmer Thomas map. Located just west of Medicine Park, on the north edge of Fort Sill.